When it comes to corporate relocations and employee transfers, EXIT Realty Number One has you covered. 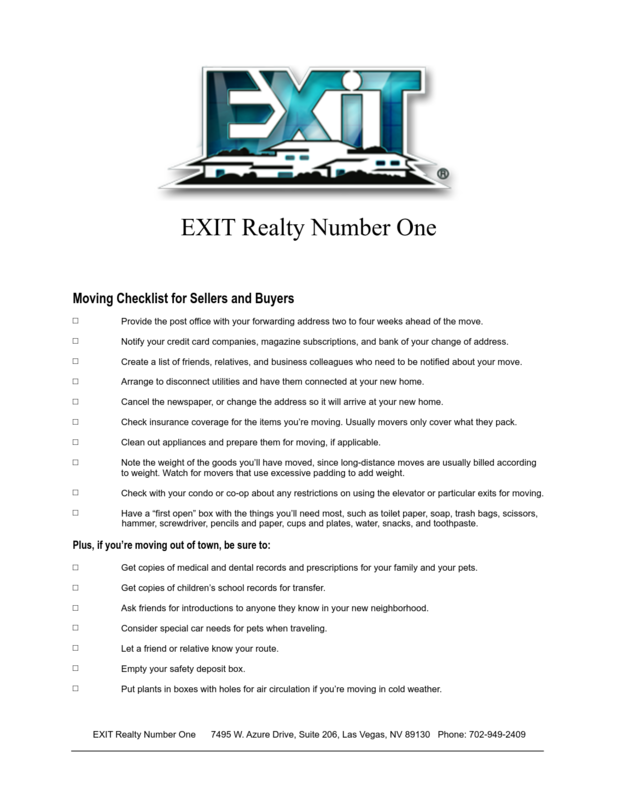 From moving package partners, detailed moving plans and learning about your new place you are about to call home, EXIT Realty is the real estate brokerage for you. Our Brokerages and Realtors will consult with you and find out what is important to you in your new location. Is it the area, schools and parks, shopping, access to freeways and of of course the specifics of your new home. We make sure that you have all of the important information you need to complete a successful corporate relocation. Our experience has allowed us to help millions of people to realize their business and personal goals. We understand that corporate transfers encompass many different levels and our corporate relocation services are designed to help both professionals and corporations transition smoothly through the moving process with minimal interruptions in production. Since corporate moves often involve a high level of sensitivity, we work hard to ensure that your move is handled with the utmost confidentiality and security. As your real estate company, we will work in collaboration with your Human Resources team, as well as your company office to provide you with the best options available for you personally as well as your company moving needs.